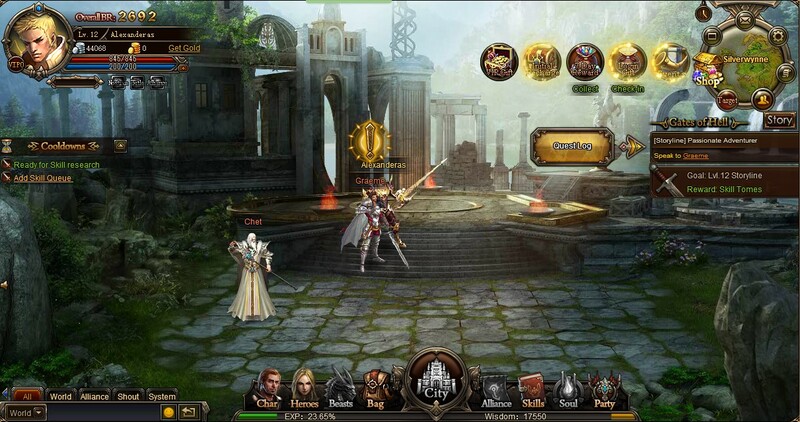 Knight’s Fable is a browser-based MMORPG title that was released last June 2014. 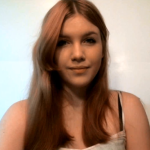 It is a fun, casual game that is free to play. Don’t let the busy interface fool you, Knight’s Fable is a very simple game at its core, especially since it borrows many elements from the other browser based titles. One of the is definitely the guided gameplay, in which you don’t really have that much to say. All quests are imposed automatically and you can’t access any side quests. I got the opportunity to move within the level, which is neat, but most of the time I will just found myself clicking quests in the quest bar so that the character goes automatically to them. There are countless enemies to fight here, all of them beautifully created, which for me is a real bonus. Having multiple enemy types just makes the world feel vibrant and alive, something that you do need in an MMO game. I also enjoyed the fact that they don’t impose you how much to play, you can just close the game at any point, even during battles, and it will save progress automatically. Knight’s Fable has a vibrant world, although there are numerous regions in it where you can clearly see the destruction and devastation that the evil forces have brought upon the land. All classes in the game are gender locked, but there are plenty of them which expand on the classic character types such as ranged, magic and melee. Each class and character that I chose came with different upgrades, a neat method to ensure replayability in my opinion and it works great. Overall, the interface in Knight’s Fable is very similar, if not identical to what you can find in other browser based games, but this is not a problem, as there’s little to innovate in this regard. From a leveling standpoint, the game is simply overwhelming. I always got the impression that I leveled up too fast, in fact after each 2-3 battles I got a new level. Of course this fast leveling wears off after a while when you get to higher levels, but I am disappointed by the fact that I got a level 40 character in just under 2-3 hours, something that you simply cannot find in other MMORPGs. However, I do feel that those who find normal leveling in MMOs slow will definitely have a blast in Knight’s Fable from this regard. Skill and equipment unlocks are in my opinion the heart and soul of Knight’s Fable. Traversing the game world is fun and all, but you do need to have a goal, and these bring you the sense of accomplishment that you are looking for. I always felt that my character becomes stronger and stronger, and that’s what I want to see in an MMO, the character growing in front of my eyes, going in the direction that I impose. My favorite feature from a gameplay standpoint is the fact that I can add beasts to my party. Yes, more heroes in the party are helpful as well, but nothing can be more devastating than a Nether Tortoise, Voidvision Tiger, Desert Spider or Ironhorn Rhino. These beasts can be unlocked depending on your level and some other simple requirements, but they are helpful in battle, as in some situations they will perform a one hit kill that will definitely come in handy when you engage powerful enemies. Beasts can be upgraded and leveled up with the help of Spirit Stones. Unfortunately, there isn’t that much to say about the combat, other than the fact I had no control on my character’s behavior. In fact, everything in the battle stage happens automatically, which means that the success relies on planning that you made beforehand. Beasts are devastating, but one can also recruit addition heroes that might come in handy in this regard. Creating a party and customizing the skills of all characters in order to make them combat ready was my favorite thing to do in Knight’s Fable, and thankfully there are lots of customization options. It’s also important to state that gamers can engage in numerous challenge boosts and events that appear within the game world alongside the main quest. I found this particularly useful for the high level characters or those that reached the endgame, but even players with lower level can engage in these as they will level up even faster. Additionally, there are quite a lot of alliance wars that you can engage in, and all of them are very different in nature, so you just need to pick a side and follow the rest. I particularly enjoyed the hell dungeon challenges that I found very interesting and fun to go through, even though they can be quite hard to complete sometimes. And this is one of the reasons why Knight’s Fable will always draw me back to it, the fact that I just have a ton of things to do within the game. From a graphical standpoint Knight’s Fable doesn’t differ that much when compared to other browser based MMORPGs. The automatic combat, mouse driven gameplay and the interface are very similar, but the game does look stunning and I was always impressed with the backgrounds. In my opinion, the character design is good, but not impressive, and the animations are quite interesting as well. Overall, visuals in Knight’s Fable are colorful, appealing but they don’t make the game stand out in any way. The soundtrack is one of the most repetitive ones I could find, with a few songs that are repeated over and over. Rest assured though that the music pieces selected for the title are very good, I just found them too repetitive as the game lacks variety from this standpoint. All in all, Knight’s Fable is one of those games that you want to play whenever you take a break from any AAA title. It’s a great game in short bursts, but playing it for hours will just be repetitive. 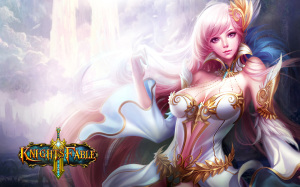 However, due to the high amount of content as well as numerous events, there’s always a reason to come back to Knight’s Fable, so if you want a fun browser game to play from time to time, this is definitely the one you seek, just don’t expect something revolutionary, because you won’t find it here. It’s just a polished, fun game with a neat progression system.